After warning corrupt leadership, priests, and prophets again, Micah changes directions and presents us with a beautiful and comforting prophecy of the future when the nations will come to the mountain of the Lord and "will beat their swords into plows and their spears into pruning knives. Nation will not take up the sword against nation, and they will never again train for war" (Micah 4.3, CSB). It is imagery I cite frequently in my invocations as a military chaplain--as the perfect future state toward which we look forward. 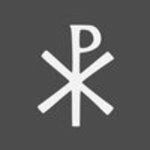 Justin Martyr and other earth church fathers found this prophecy fulfilled in through the apostolic preaching and expansion of the infant church. "We can show you that this has really happened. For a band of twelve men went forth from Jerusalem, and they were common men, not trained in speaking. But by the power of God they testified to every race of humankind that they were sent by Christ to teach to all the Word of God" (Justin Martyr, First Apology). While we can see this fulfillment partially, grasping the fathers' limited understanding about the true extent of all the nations, the work of bringing the gospel to the world is not yet complete. From here, however, we take hope, knowing what the future holds for those in Christ. One thing that jumps out at me from this passage is Jesus' subtle rebuke of the disciples' pride. Though they marvel at the power of the God going out through the gospel, they wrongly put the focus on themselves. "Lord, even the demons submit to us in your name" (Luke 10.17). Again and again in the Gospels, Jesus rebukes pride in the disciples. Here is no exception, even if it is more subtle than in other places. Jesus reminds them that what is important is not the signs or miracles God does through them but that they are themselves saved by the grace of God (v. 20). As Cyril of Alexandria writes, "To rejoice only in the fact that they were able to work miracles and crush the herds of demons was possibly likely to produce in them the desire of arrogance. The neighbor and relative of this passion constantly is pride. Most usefully the Savior of all rebukes the first boasting and quickly cuts away the root that sprang up in them—the shameful love of glory" (Cyril of Alexandria, Commentary on Luke). We, too, must guard against pride creeping into our own hearts even as God works through us today.